Teeth can be a sensitive issue for people and according to a recent survey by Cosmetic Surgery Solicitors, around 40% of the UK population are unhappy with the appearance of their teeth. Discolouring, missing teeth or crooked teeth are all cited as embarrassing issues for people and can cause real problems with a person’s confidence and self-esteem. Gone are the days of ‘train track’ metal braces as your only option for straightening teeth. In this day and age, there are a plethora of teeth straightening options available on the market. Many of these treatments are available to adults, are non-invasive and can fit in very well with your lifestyle. In fact, it couldn’t be easier to achieve the straight smile that you desire. At Dentistry@68, we offer several teeth straightening treatments and here we focus on Cfast, which stands for Cosmetically focused adult straight teeth and the Inman Aligner. Cfast is a gentle and minimally invasive teeth straightening system. It corrects alignment issues within the top and bottom front six teeth. This is often called ‘the social six’ because it focuses on these front teeth, the treatment time is relatively short and depending on the work it needs to do, patients can see results in as little as four months and usually in around six months. 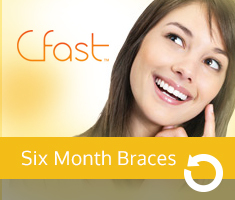 Cfast uses clear, orthodontic brackets and tooth-coloured nickel-titanium wires. The treatment uses a similar method to move the teeth in position as clear aligners but tooth movement is much more predictable with Cfast, which makes the treatment time quicker. The Inman Aligner is another great alternative for adult orthodontic treatment and is sometimes described as the ‘missing-link’ between cosmetic dentistry and orthodontics. It moves teeth safely and quickly and often works within as little as 6-18 weeks. The Inman Aligner works by using coil springs that force two aligner bows to gently oppose each other. One pushes forward and one pulls back, which makes the teeth move into the desired position. If you are suitable for the Inman Aligner, impressions will be made of your teeth and a custom-made Inman Aligner will be made. 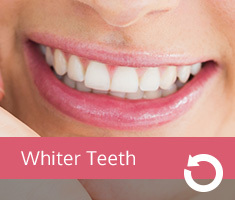 The patient needs to wear the aligner for 16-20 hours per day. Regular checks should also be made with the dentist, every two to three weeks during treatment time, just to check the treatment is going according to plan. If you are interested in joining the practice or would like more information on adult orthodontics or any of our other treatments, please call us on 01202 007734. All I Want for Christmas is my Two Front Teeth, Our Top Tooth-Friendly Tips this Christmas! Christmas is fast-approaching and whilst it can be a great opportunity to spend time with family and friends, it is also notoriously a time for eating and drinking sweet, sugary foods such as dried fruits, Christmas pudding and mince pies! Not to mention the sugary drinks and for generally over indulging a little! This over indulging, for long periods, spread out over the day, can have a detrimental effect on our teeth. We often give our teeth little or no thought at all, especially about the effects of sugar on our teeth, until we get a problem or pain. One of the biggest factors for developing cavities, for example, is the length of time that sugar remains on our teeth. The sugars combine with the natural bacteria in our mouth and this is what causes problems with tooth decay and gives a higher risk of developing cavities. Therefore, it is a great idea not to leave the sugar on our teeth all day and to brush them in between sittings. Top Tooth-Friendly Tips this Christmas! Here are just a few tips for over the festive period, which your teeth will be grateful for. Brush your teeth between meals – if it’s at all possible, have a toothbrush with you over the Christmas festivities, and have a cheeky little brush of your teeth in between food servings and drinks. Invest in a new toothbrush – with all the other presents and gifts you have probably bought for Christmas, make sure to include a new toothbrush for yourself! If your toothbrush has any fraying at all, it is time to be replaced and should always be replaced at least every 3-4 months. Chew some sugar free gum – when you chew gum it produces saliva in your mouth, which acts a bit like a mouth wash, which helps to wash away the sugars that have formed on your teeth. The gum needs to be sugar-free though to have the desired effect. Drink plenty of water – water really is our friend and the NHS recommend we drink 1.2 litres of water per day. Rinsing with water after a meal can also be beneficial, as it boosts our body’s natural ability to clean itself after eating. Eat crunchy foods – foods such as carrots, apples, celery and peppers can act as nature’s toothbrush and help scrape bacteria and food particles from our teeth. Don’t use your teeth as a tool – it can be tempting sometimes when you’re in a hurry to just use your teeth to crack a nut or even open a bottle, but don’t be tempted. No one wants a dental emergency over Christmas! We would also recommend a dental check up after Christmas and New Year and then having a check-up every six months. If you are interested in joining the practice or would like more information on any of our treatments, please call us on 01202 007734. As we age, many of us are aware that the skin surrounding our eyes seems to get thinner. 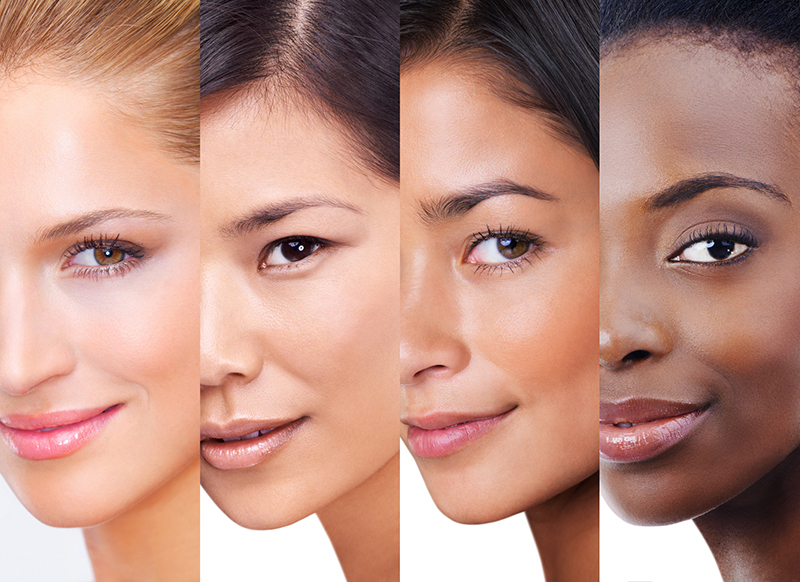 In fact, the eye contour area is the thinnest and most fragile skin on the entire face. The eye area also lacks sebaceous glands and collagen and elastin fibres, therefore, this area of the face is often the first to show signs of ageing. We can develop deep wrinkles, particularly on the eyelids and people may get drooping of the eyelids, which can make you feel self-conscious. Plasmage is a non-surgical Blepharoplasty and Blepharoplasty is quite a common surgical procedure that can help rejuvenate your appearance, particularly around your eyelids. The treatment can alleviate drooping eyelids or eyelid overhang and can be used to tighten the skin around the eyelids, which are often seen to droop with age. Plasmage is a medical device, which uses plasma energy, provided through an electric discharge, by a tool that looks like a pen. The electric discharge starts when the tip is directed closely to the skin but it doesn’t actually touch the skin. The process heats the skin, which increases collagen formation. The skin then contracts over time due to the extra collagen build up. This in turn builds up the tightness and tautness of the area. The tissue retraction tightens and smooths out the skin. The results are the reduction of excess skin, fine lines and wrinkles. The results are not seen immediately and the earliest you will see results is approximately 7 days after the treatment. The area that has been treated will continue to improve over the next few months. Photographs are often taken before hand and then at several intervals after the treatment to be able to assess the proper outcome. The results will last for up to 2 years and after this period, you are able to have another treatment. The treatment lasts for approximately 30-60 minutes and a local anaesthetic is used to numb the area before treatment begins. During the treatment you may feel a warming and stinging sensation. The recovery time is around 1-2 weeks and the skin will darken and peel, allowing the fresh skin to come through. Usual activities can be resumed fairly quickly after treatment but there may be some discomfort for 7 days post treatment and there will be some brown marks, which will appear as scabs, which usually go within 5 days and there may be a little swelling, which usually disappears in 2-3 days. You will be given a follow up appointment approximately 1-2 weeks after the procedure to see how the area is progressing. You need to keep the area clean and an aftercare programme will be given to you which must be followed for 7-10 days. This aftercare programme helps optimise the results and promotes healing. It is important to also protect your eyes from sun exposure until the area has settled down. There are other things we can do to help combat the ageing process and we have shared some of these below. We will all more than likely need some kind of dental treatment at some point in our lives. As much as we clean and floss our teeth, the occasional dental treatment is inevitable and hopefully, no serious dental incidents will occur but accidents do happen. If such an incident was to occur or even if you just want to spread the costs of dental and hygienist appointments, then Denplan insurance may be the way forward. Below, we explore Denplan Essentials, what exactly does it include? How can you join and what happens in an emergency? What does Denplan Essentials include? 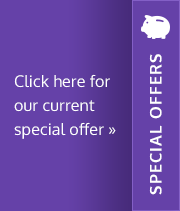 You will get dental injury cover for up to £10,000 per incident. Firstly, your dentist will want to assess your teeth and gums and then ascertain the monthly payment, which will cover your preventative dental care. You will be advised of the number of visits you will need for the year. You are able to leave the plan for any reason and at any time by simply giving the dental practice one month’s notice. There is 24 hour access to a worldwide dental emergency helpline, available all year around. It offers help and advice in the event of an emergency so you can feel safe and secure wherever you are every day of the year. If you would like to discuss Denplan Essentials further and how it can fit in with your life, please call the practice on 01202 007734. In search of the perfect pout? Lip fillers appear to be the treatment of the moment, with more and more people searching for the fuller, bee-stung lip look seen on celebrities such as Kylie Jenner. Below we explore lip fillers further. What exactly does the treatment involve? Is it safe? Does it hurt? And where can I get them? Lip fillers are a treatment, which can be used to reduce any lines and wrinkles around your mouth, to define your lip line and to give the lips a fullness and smoothness with the shape you desire. What exactly does the treatment involve? Hyaluronic acid (HA) is injected into the lip area with an ultrafine needle, which provides volume and definition to the lips. It is not a permanent treatment however and it usually lasts around six months to a year. There are a few different brands of HA on the market, such as Restylane and Juvederm. The fillers work immediately, so you will see results straight away. It is important to do your research on who will perform your lip filling injections and go to someone with facial aesthetics experience. They should review your medical history and discuss your goals in detail. It is a good idea to ask for before and after pictures of previous people, they have treated. After treatment, you may notice a few small bumps under your lips. These will usually smooth out within a week or two but if they don’t your injector can remove them. Whilst rare, there are occasional more serious complications, such as a blood clot. Therefore, if you are experiencing any significant, serious pain or skin discoloration, then you should consult your doctor as soon as possible. Most dermal fillers have an anaesthetic added to them, so the actual treatment process should be relatively pain free. Practitioners also usually use topical anaesthetics on the area, which minimises the discomfort felt by the client. Once the treatment has been completed, there could be a little swelling, redness or tenderness around the area. There can also be a slight itching sensation in the treatment area, however, these symptoms should pass after a few hours. It is important to go to a facial aesthetics practitioner with particular expertise in facial aesthetics such as dermal fillers and anti-wrinkle injections. The practitioner should consider your safety and the results, knowing exactly the look you wish to achieve and should have vast experience in performing facial procedures. 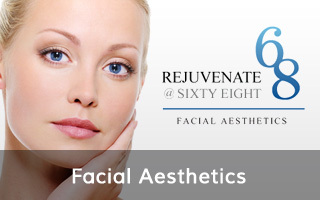 Here at Dentistry@68, we have a dedicated facial aesthetics arm, known as Rejuvenate@68. 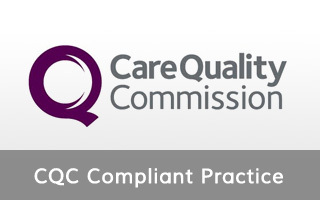 We operate under strict guidelines set out by The British Dental Association and the Care Quality Commission regarding safety, cross infection and sterilisation procedures, so you know you are in completely safe hands. We are located in Poole town centre with onsite car parking facilities and easy access from the surrounding areas of Dorset, Hampshire and the West Country. Dentistry@68 was previously known as ‘Wimborne Road Dental Practice’ and has been established since 1973. The practice you see today is a large, airy, modern space with five surgery areas that house state-of-the-art equipment and knowledgeable and friendly staff. The practice is based near the centre of Poole and serves both the patients of Poole and the surrounding areas. As well as having a team of five highly-qualified dentists, the practice also offers access to three highly-trained hygienists. 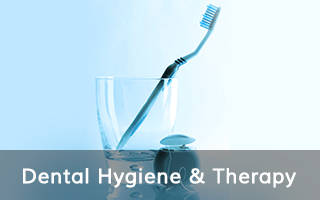 Good dental hygiene is considered an extremely important factor for keeping gum disease at bay. Gum disease begins with bacterial growth in your mouth and can result in tooth loss and erosion of the gums if left untreated. There have also been recent studies, which directly link a person’s oral health to their overall health and well-being. According to the journal of Periodontology, gum disease may increase your risk of getting respiratory infections, such as pneumonia. A link between strokes, heart disease and diabetes and poor dental health has also been cited by the British Dental Health Foundation. It seems there has never been a better time to book a hygienist appointment. We are now offering direct access to one of our three highly-trained hygienists, without having to be a registered member of the practice. There is no obligation to register with the practice after your visit, and you don’t even need to see the dentist first. The hygienists play an important role in maintaining great oral health. They will professionally clean and polish your teeth. They can also offer tailored advice, educating you about the best ways to help keep your teeth free from plaque. As they remove the tartar from your teeth, they are helping to reduce the chances of you getting gum disease. The main goal of the hygienist is to prevent gum disease and tooth decay. They can offer tips on maintaining good oral cleaning habits at home. This care at home, alongside hygienist appointments, is the best way to keep a healthy mouth, keep your teeth strong and give you fresher breath. Your half an hour dental hygienist appointment will cost just £72. However, we are also running an offer this month with ‘10% off Direct Access Hygienist Appointments’ booked in the month of December. If you would like to take advantage of this offer or to book your hygienist appointment, please call on 01202 007 734. 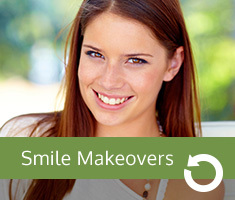 Do you feel embarrassed or unhappy with your smile? With so many new teeth straightening treatments on the market these days, there is no need to feel this way anymore. Many more adults are turning to teeth straightening options and realising that the smile they‘ve always dreamed of is well and truly within their grasp. Here at Dentistry@68, alongside general dentistry work and cosmetic dentistry, we offer facial aesthetics such as anti-wrinkle injections and dermal fillers. In the way of orthodontics, we offer Inman Aligners, which are removable, spring aligners that move teeth into position, within 6-14 weeks, the digital smile aligner series, and Cfast. Today, we are focusing on Cfast and exploring what it is and the benefits of this particular orthodontic treatment. Cfast is a gentle and minimally-invasive teeth straightening treatment that can rectify alignment issues within the front upper and lower 6 teeth. Because it is only focusing on those ‘social six’ as they are sometimes known, the treatment time is fast, with the straight smile being achieved within six months. 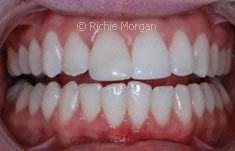 The treatment can rectify crooked teeth or gaps in the front teeth and can level and round out the arches. Standard orthodontic mechanics are involved with the process, using clear fixed brackets and tooth-coloured wires to move the teeth into the desired position. This means the tooth movement is predictable and as it’s just the front six teeth that are being moved, the force used is minimal and the time taken is less. 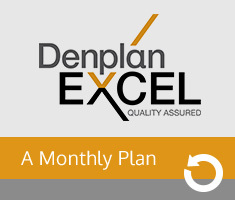 You may be eligible to have your Cfast treatment covered by our Denplan Excel, a monthly plan with the UK’s leading dental payment specialists Denplan. Dentistry@68 is a Denplan Excel accredited dental practice. Call the practice on 01202 673037 to find out more about Cfast and Denplan or any of our other treatments. Let’s celebrate National Smile Month, which is currently running, from 15th May to 15th June this year. The well-known month in our dental calendar is the UK’s largest and longest-running oral health campaign. •	Brush your teeth last thing at night and at least one other time in the day (usually the morning) with a fluoride toothpaste. •	Cut down on your sugary foods and drinks. •	Visit your dentist regularly (usually every six months) or as often as they recommend. The inaugural campaign was in 1977, and the aim of National Smile Month ever since has been to improve the UK’s oral health. The campaign would like to raise awareness of important oral health issues. The desire is to make a positive difference to the oral health of millions of the general public. There will be around 3000 dedicated events and activities occurring around the UK, with the purpose of having fun, alongside educating local communities about the importance of a healthy mouth. These events include workshops in schools, where brushing skills can be taught, children can discuss visiting their dentist and find out what to expect. The importance of cutting down on sugary drinks and food can also be addressed, and the role of your mouth and teeth can be looked at. However, it’s not just children that can be educated about oral health, the elderly can learn about denture cleaning, and we can all find out more about what oral health products are available and about what negative effects sugar, alcohol and tobacco can have on our teeth. A Smileathon is another great way of getting people interested in their oral health and hygiene. Anyone can take part. You can get some Smileys from the National Smile Month website at http://www.nationalsmilemonth.org/product/smileys/ take some pictures of you and your friends with the Smileys and upload them on to Twitter or Facebook with an educational message. The photos can be posted to @smilemonth using #mysmileyselfie and #smileathon. A perfect set of teeth adds a lot to a person’s self-esteem! Research suggests that it takes just seven seconds to form an impression of someone when we first meet them. Therefore, it’s a good idea not to waste those seven seconds and to make that impression a good one. Your smile and your teeth are a huge part of that first impression, alongside your clothes and hair style. Your smile, although very important, is often the thing we feel most self-conscious about. When you feel good about your smile, you will automatically have more confidence in yourself. So, you should definitely make your smile work for you by maintaining a good and thorough oral health routine. This routine should include brushing teeth twice a day for at least two minutes, flossing daily and using a tongue scraper and mouthwash if possible. But a good oral hygiene may not be enough for you. In recent years, society has seen an increase in demand for cosmetic dentistry, with people wanting to achieve a ‘Hollywood Smile.’ Many celebrities have famously created the smile they desire and TV shows such as Extreme Makeover and Ten Years Younger have raised public awareness about various cosmetic dentistry treatments now available on the market. At Dentistry@68, we have the knowledge, the skills, and the technology to deliver you a brand new smile. The smile that you have always desired. Common procedures performed in the dental practice include teeth whitening, white fillings, braces, aligners, veneers, porcelain restorations, crowns, bridges & implants. Individual treatments or a combination of treatments might be needed to meet your smile desires. A beautiful and functional smile can have numerous positive effects on your self-confidence and can do a lot for a person’s self-esteem and their working and personal relationships. If you would like to find out more and get a free initial smile consultation, please call us on 01202 673037. The arrival of March also sees the arrival of nutrition month. Many people don’t realise the direct effect that eating a varied diet of fruit and vegetables and getting good nutrition can have on your oral health. If you eat plenty of vegetables it can help combat gum disease. This used in conjunction with a good daily dental regime, the usual dental visits (every 6 months), and your teeth and gums can really be in tip top condition. National Nutrition Month® is a nutrition education and information campaign sponsored annually by the Academy of Nutrition and Dietetics, held annually in March. It focuses on the importance of making informed food choices and developing sound eating and physical activity habits. Apples – the acidic nature of apples acts as a mild astringent so they clean your teeth as you eat them. The skin of the apple is fibrous, acting a bit like the bristle from a toothbrush, and the chewing action used with a crunchy apple can help remove plaque. Cheese – eat a piece of cheese after your lunch as it can reduce the acid levels in your mouth. Milk – drinking milk can neutralise acids produced by plaque bacteria. Leafy greens – they are especially successful at keeping mouths clean because they’re fibre-packed, meaning they require serious chewing to break down. The extra saliva produced by chewing neutralises mouth bacteria.